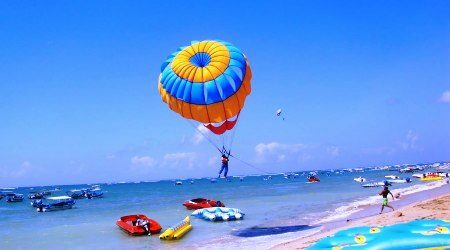 Welcome to Tanjung Benoa Beach the place for many Bali Watersport activities in Bali. 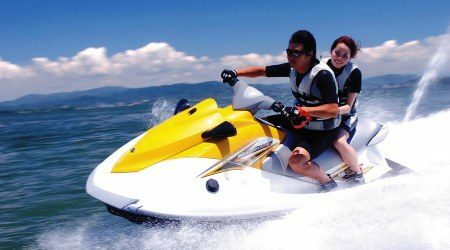 Many people know Bali tourist spots for water sport activities is in Tanjung Benoa beach, because Tanjung Benoa beach has a calm sea waves and very safe for water sport activities in Bali. Benoa Beach, located at the southeast end of the island and within walking distance of Nusa Dua. 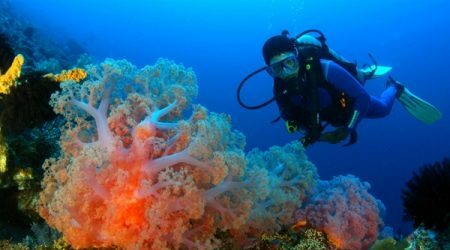 If you come from Ngurah Rai airport, you will cover a distance of 15.7 kilometers that can travel within 30 minutes. 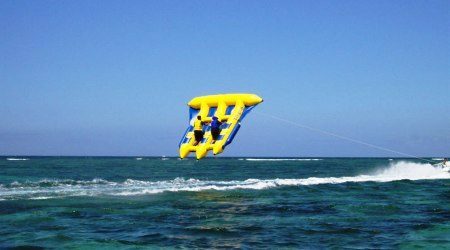 Watersport activities carried out starting at 09:00 to 15:00, because after 15:00 the sea water will recede and the speed boat used for water sports activities not operating optimally. 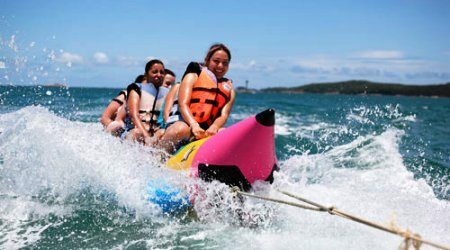 Safety in watersport activities is preferred by providing instructors who are trained and experienced as well as the tools used must also meet safety standards. Accident insurance is also provided to the consumer. BOOK NOW, GET SPECIAL OFFER! 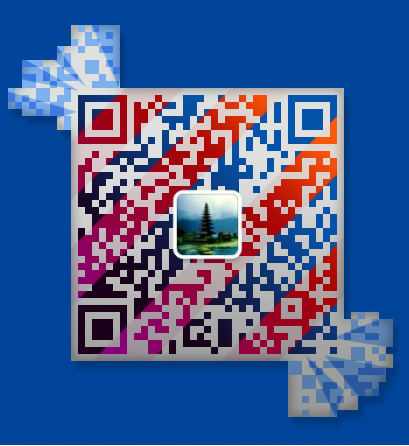 This entry was posted in Bali Watersport and tagged tanjung benoa, Watersport. Bookmark the permalink.